SKU: 2012090. Category: Commemorative, Other. 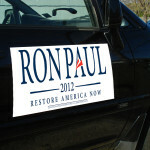 The eagerly anticipated new Ron Paul Family Cookbook is finally here! Featuring 28 pages of tasty recipes from the Paul family and friends, this much-in-demand and collectible cookbook will “warm your kitchen and your heart.” Packed full of photos of the entire Paul family, the book also includes Carol Paul’s “The American Dream” which briefly recounts the history of Ron Paul and the Paul Family. 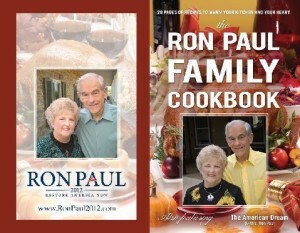 Share copies of the Ron Paul Family Cookbook with your family and friends this Christmas. The Cookbook makes a great holiday gift!